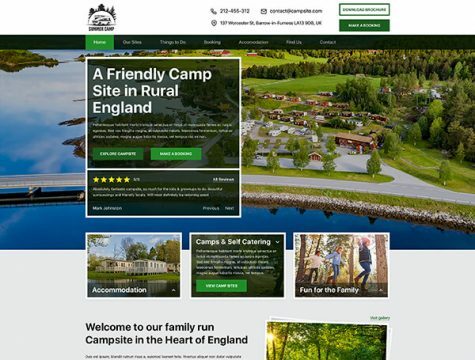 Happycampers is the perfect WordPress theme for your campsite or tent holiday. 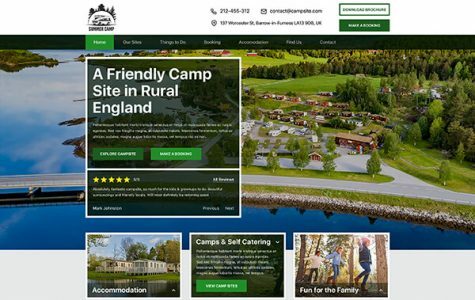 Happycampers is the perfect WordPress theme for your campsite or tent holiday. A modern and fully responsive design that comes with pre-designed pages that can be installed in no time. Let your visitors book a weekend away with ease using our online booking form and easily manage all bookings via the back end WP admin. Create your own pages with the included Visual Composer plugin giving you the freedom to expand the Campsite theme.